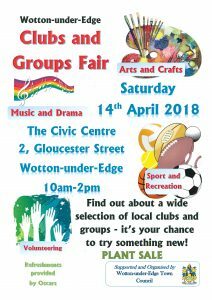 The Clubs and Groups Fair is taking place on Saturday 14th April from 10am to 2pm at the Civic Centre, 2 Gloucester Street, Wotton-under-Edge. 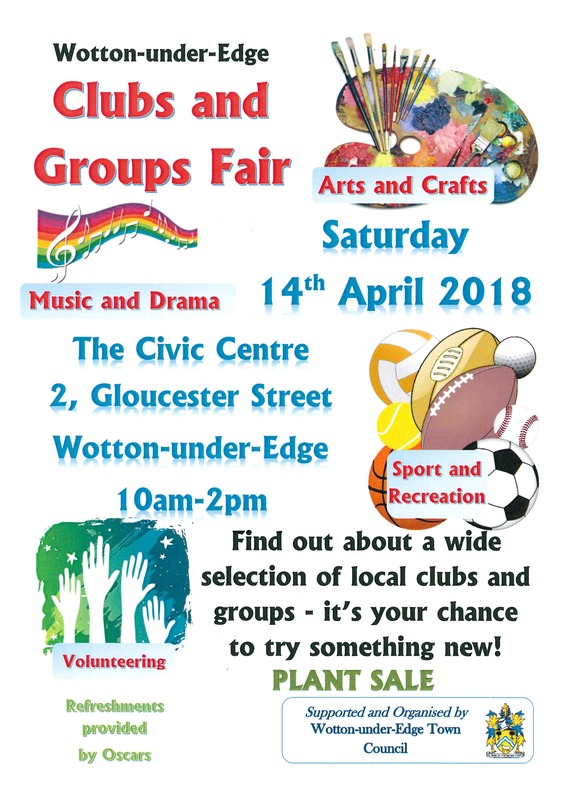 Including those offering arts and crafts, music and sport, over thirty local clubs and groups will be attending the event. Oscars Out-of-School Club are providing refreshments at the event, including bacon butties and homemade soup, so pop in for a bite to eat and find out about the fantastic range of activities available for residents in the area!